A research conducted at the University of Granada has identified the different effects of being of a nervous disposition and being anxious at a given moment on what happens around us. Being of a nervous disposition and being anxious at a given moment affects our attention to what happens. This finding will help improve the treatment of anxiety disorders, so common in our days. 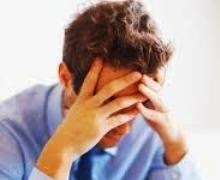 In fact, anxiety has become one of the most common conditions among the population, which can explain the negative connotations usually associated to this term. The study was developed by Antonia Pilar Pacheco-Unguetti, Alberto Acosta, Alicia Callejas and Juan Lupiáñez, from the department of Experimental Psychology and Behavioural Physiology of the University of Granada. It will be published in the next issue of the prestigious journal Psychological Science. There are two types of anxiety: Trait Anxiety, which is a quality of personality that indicates a tendency to feel anxiety and restlessness; and State Anxiety, which is an emotional reaction raised in response to a stressful situation or context. Therefore, the later it is of a more immediate and ephemeral nature. However, the difference between trait and state anxiety has not been identified or established for decades, on the grounds that both types of anxiety make individuals more receptive to negative information, to the detriment of positive or neutral information. The researchers from the University of Granada have evaluated whether these subtypes of anxiety affect attention differently. To the purpose of this study, an attention test prepared by the researchers was provided to some participants with high and low trait anxiety values, and to other groups of students that had been previously induced to a high state of anxiety or to a positive emotional state. The results revealed double dissociation in attentional performance. Cognitive control networks of participants with high trait anxiety values showed a deficient attentional performance. Cognitive control networks are responsible for conflict resolution and voluntary action control, functions which are related to the prefrontal cortex. Conversely, the participants with high state anxiety presented an over-functioning of the alerting and orienting networks, which are attention networks more heavily influenced by the process of analysis of stimuli. The results obtained provide first evidence that trait and state anxiety affect attention processes differently. Further, from these results, it can be concluded that such influence is present in situations where emotional information processing is not required. This dissociation may help develop specific therapies allowing patients with anxiety disorders to control themselves. The aim is to help patients reinforce efficient mechanisms to focus on the demands of the situation by inhibiting distracting information. Source: Department of Experimental Psychology and Behavioural Physiology, University of Granada.